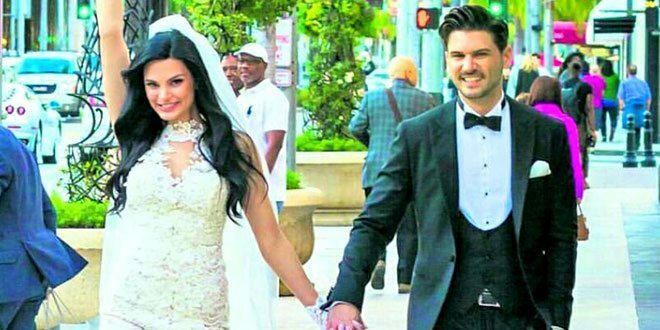 Tolgahan Sayisman got married to Almeda Abazi on February 13th, 2017. The couple said “yes” in an hotel at Beverly Hills, Los Angeles, USA. Approximately 40 people attended their wedding ceremony. The couple shared their thoughts on social media just before the wedding. Tolgahan Sayisman: To love somebody is just like resembling her laugh to sunrise. It is a grace to have a woman who reminds all the blessings of our God. My Allah shall give everybody a person whom you can grow old hand-to-hand with. This message is my farewall post to singleness.